Built around 1850, the two-and-a-half-storeyed building on the West End of Water Street was constructed using a mixture of local stone, yellow brick, mortar and wood. The original owner designed the structure to serve two purposes; the ground floor was used for commercial purposes, while the owners of the various business lived in the upper levels. Its location on the far western end of Water Street allowed it to escape from the Great Fire of 1892 which destroyed much of downtown St. John's. 562-564 Water Street is typical of the merchant and commercial buildings located in St. John's before the Great Fire. During the 1860s and 1870s, the premises contained a popular tavern first operated by Charles Ellis. In 1877 the tavern was operated by Richard Murphy. In 1885 James Thorburn purchased the building and by 1890 sold it to A. W. O'Reilly who operated a saloon at the location. The structure was then bought by a landowner Michael Wadden and a liquor dealer, Thomas Neil. The Canadian Marconi Company operated out of the building in 1928. By 1936 W. G. Stephens operated Mammy's Bakery and retail store from the premises. Stephens was previously a superintendent of the Royal Bakery, and he established Mammy's in 1931 as a modern sanitised automated bakery. He used a fleet of white trucks and horse-drawn bakery wagons to deliver bread in the St. John's area. General Bakeries, a subsidiary of Dominion Stores Limited, bought Mammy's Bakery in 1955. In the 1940s a Mr. Morrissey sold provisions and groceries from the store until 1969/1970. The tenant during the 1940s was Eugene Kennedy who was the son of Captain Nicholas Kennedy. Numerous businesses have operated out of the building since Mr. Morrissey vacated the building in the early 1970s. The structure has housed an art gallery, mason, a dog-grooming salon, weight control centre and Rosemill Antiques. 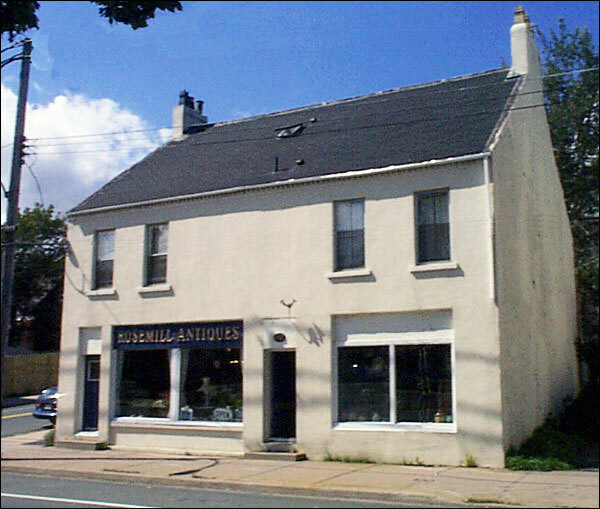 In October 1992 the Heritage Foundation of Newfoundland and Labrador designated the 562-564 Water Street building a Registered Heritage Structure. This structure was also awarded the Southcott Award for heritage restoration by the Newfoundland Historic Trust. Also view the 562-564 Water Street Registered Heritage Structure on the Heritage Foundation of Newfoundland and Labrador web site. The Newfoundland and Labrador Heritage Web Site has on its site only a portion of the registered heritage structures in Newfoundland and Labrador. To view a complete list or search for a particular structure visit the Heritage Foundation's Property Search page.